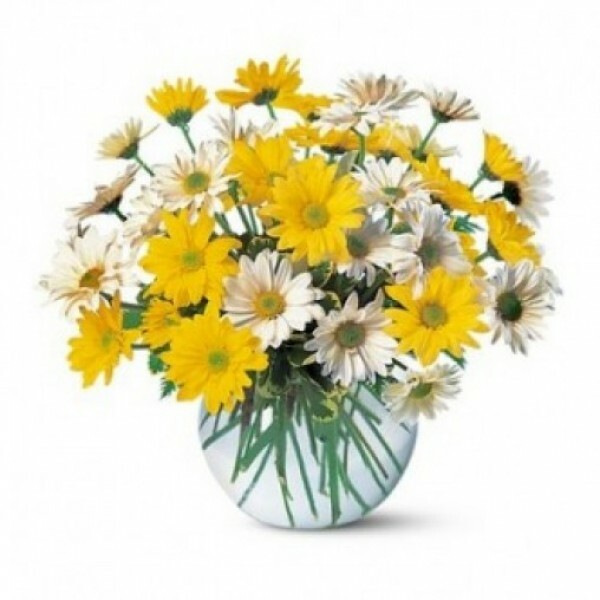 15 sunny Yellow and 15 White Daisies will bring a smile that wonât fade all day long. Express your playful, childlike side and send a wish simply to make someone happy. These are a perfect morning welcome delight no matter what the occasion.